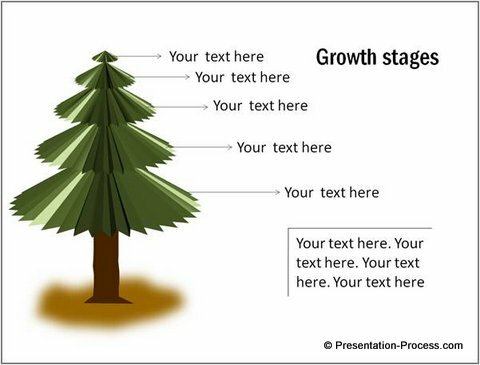 Here are seven useful PowerPoint concepts freshly picked from a garden or your business presentations. Get inspired to come up with your own variations. This is a much more interesting timeline than the usual timelines you see as part of SmartArt graphics. You can also use custom animation to make each lea appear on the click of your mouse to represent a milestone. 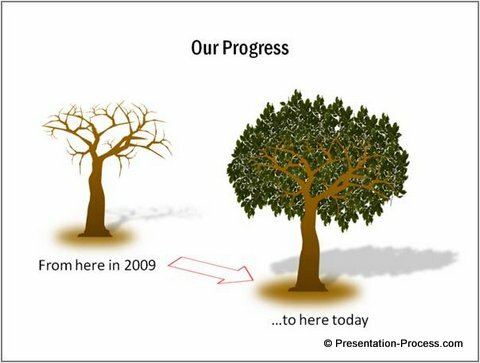 The progress from a sapling to a tree can be used as a visual history to represent the progress of a project or a business plan. You can add custom animation to make the elements one ater another to set the context or your slide. You can explain the concept of ‘Cause and Effect’ using this simple visual. 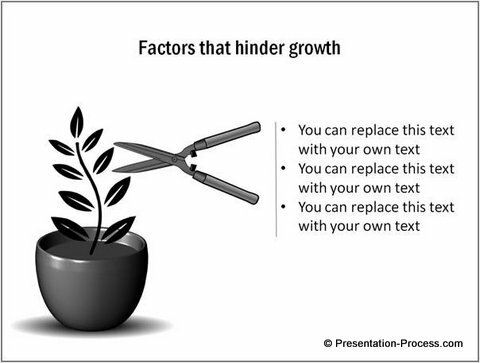 You can list the various Factors that have contributed to the outcomes in a project. 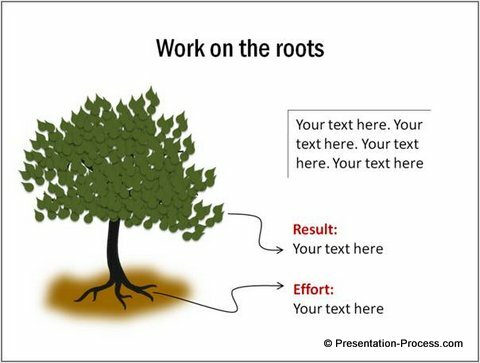 Visuals like these have a way o connecting with the audience much better than cold ‘boxes and arrows’ type of diagrams. All the templates you have seen in this article is from the PowerPoint Graphics & Concepts CEO Pack 2. 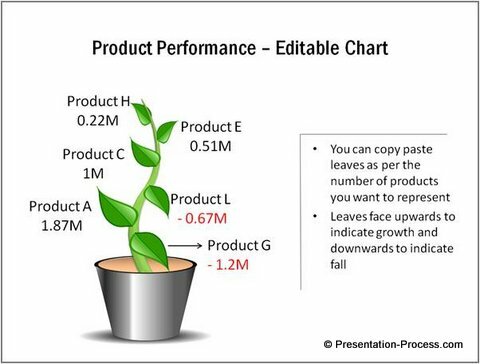 The volume has more than 815 charts, diagrams and graphics to help you visualize every business idea imaginable. So, there are so many ideas you can get from a simple walk in the garden. Imagine what more can you achieve by keeping your eyes ‘open’ or ideas at all points of time. 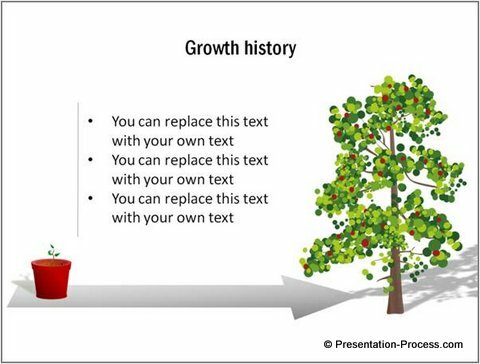 It is not always possible to come up with interesting concepts in PowerPoint when you are under the pressure of a deadline. 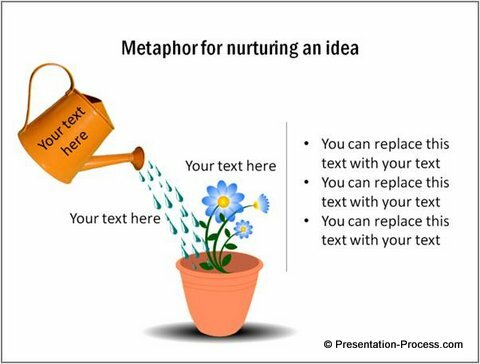 That is why it helps to have ready access to a bank of visualization ideas you can draw from to make your business message effective and memorable.